Those for professional developers who are looking for rapid application development platforms to speed their delivery cycle: although they could create the applications using traditional coding techniques, it just takes too long. 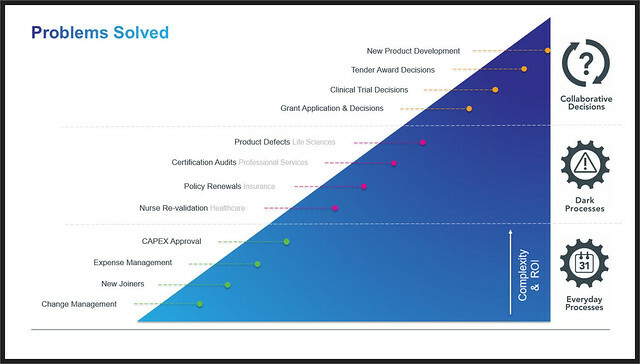 Low-code BPM products in this segment, according to Rymer, include Appian, Bizagi and PNMSoft, and marry fast visual development with flexibility and deployment control. Those for business developers and power users – what I consider to be the true citizen developers – who are not capable of developing applications using more technical tools, and possibly would end up a bit confused even with the low-code platforms that are targeted at professional developers. The business developer low-code platforms are visual tools but have less flexibility and many fewer options to provide a simpler “no-code” experience. 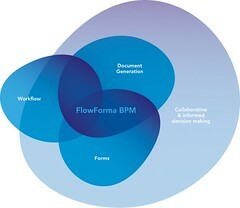 In the BPM space, Rymer includes FlowForma, KiSSFLOW and Nintex in this category: these products also tend to self-identify as “workflow” rather than full BPM suites. Regardless of the platform, the key is that all of these types of developers need to be moved off unmanaged tools such as Microsoft Excel, and onto low-code platforms where their work can be properly supported, managed and reused. Neil Young, FlowForma’s CEO (no, not THAT Neil Young ) took over to talk about how their product approaches the business developer/power user market, and some of their customer success stories. Their tool, based on Microsoft Office 365, combines forms, simple workflows, document generation and collaboration in a platform that allows people to get up to speed in day or two and start creating their own applications. The discussion at the end had an interesting bit on the changing role of business analysts, who typically fall into the power user category from Rymer’s earlier categorization, although I see a lot of these who have transferred from IT groups are are really business developers. In the past, BAs work has been focused on creating written requirements, whereas low-code platforms allow them to create a working prototype as part of the requirements. There was a question from an attendee on how to identify citizen developers within your business: Rymer said to look for people who are now solving problems with spreadsheets or databases, who are probably operational managers. When I do a walkthrough at an enterprise client, I always look for the spreadsheets being used in the general workflow: these identify areas for process/system improvement, and also pinpoint the problem-solvers who are creating these tools and could easily become citizen developers. If you’re interested in listening to a replay, FlowForma will likely have that up on their site within a day or so. Update: unfortunately, the original registration link disappeared from their site, and they don’t seem to have a replay video published..
Young gave me a full Flowforma product briefing several months ago, showing how forms and workflows are created, what their in-process collaboration looks like, and document generation. I’m not a Sharepoint or Office 365 expert, so not sure how much of this is native functionality versus their additions. At that time, and again in this webinar, he discussed the three categories of problems that they solve: everyday processes, “dark” processes, and collaborative decisions. There’s definitely an overlap with many of the low-code case management tools, in part due to the strong content management capabilities. I’ve attached my snaps from the briefing below; although they’re a few months out of date, they give an idea of the platform capabilities. You can sign up with them for a 30-day trial if you want to try it out.